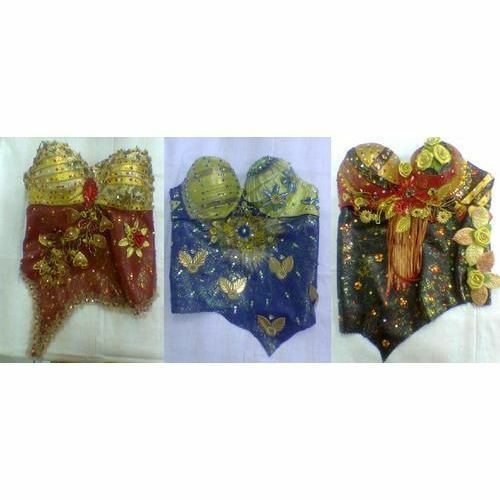 Our leather bustier are beautifully designed. They have beautiful designs and patterns made on them and are very contemporary garment. Created out of the and the smoothest fabrics, these are a delight to wear and to look at. Established in the year 2005, Leather Clothings is engaged in the manufacturing, exporting and supplying of superior quality leather garments, fashion apparel and other leather accessories like leather purses, ladies leather purses, designer purses, leather skirts, leather vests, leather tops, leather mojris etc. India has long been an important source of leather exports and we have capitalized on the opportunities available to expand our operations worldwide. We ensure that the raw materials that go in to producing our products are sourced from the most reliable and trusted vendors. Our company started as a small time business under guidance of Ms Shamin Khan since then has grown and expanded into a recognized and established organization with an enviable reputation for consistent quality. With complete expertise in the manufacturing of a wide gamut of products, we are committed to offer our clients the best within a committed time frame.